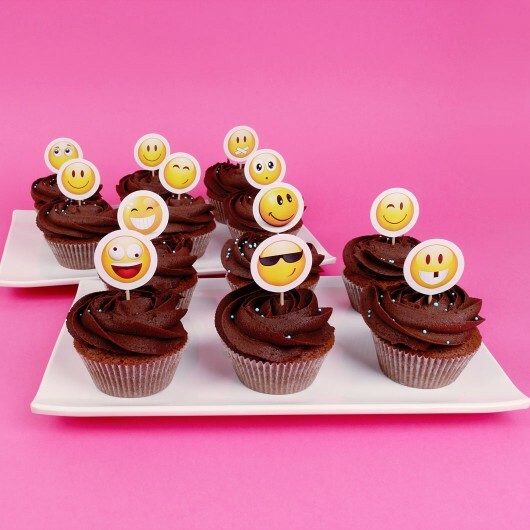 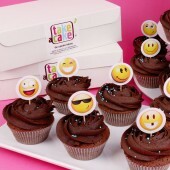 Our toppers are an alternative way we use to brand our cupcakes. This small, yet cute paper signs will present your message to your guests as an integral part of our delicious cupcakes’ fresh-baked smell. 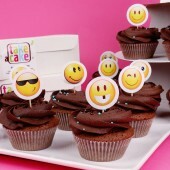 The set is made of 12 Cocoa cupcakes and 12 two-sided printed toppers. The technical requirements for the print of your logo can be downloaded by clicking here. Make an enquiry about your order so it can be tailor-made for your needs. 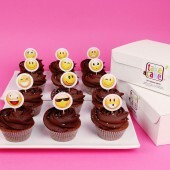 Our representative will consult you and take your order.